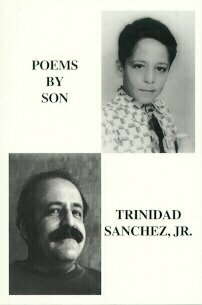 Trinidad Sanchez, Jr., lives in San Antonio, Texas, where he frequently serves as a "Poet in the Schools." 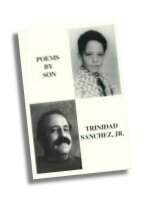 Poems of the Son/Poesias del Padre brings together two chapbooks, slightly revised, into a whole book. Trinidad runs several poetry reading series in San Antonio and is a popular reader at local colleges, universities and schools. The book is, in part, a tribute to his father who taught him a love of literature. remember, it's St. Patrick's Day!" I refused to turn IRISH! because I refused to use IRISH SPRING. Being Chicano is not easy!